Few people can say they’ve helped take an academic field from its infancy to the forefront of contemporary society. 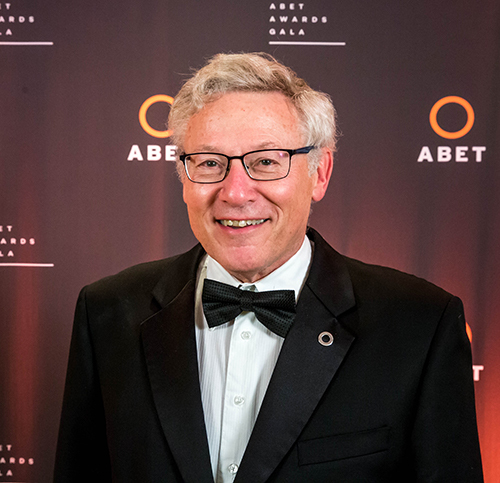 ABET Expert Stuart Zweben can. For nearly five decades, Zweben has been performing research, leading accreditation efforts and promoting diversity within a field that has been growing in importance and scope every year. Zweben entered the computer science field before the major even existed at CUNY City College, where he pursued his bachelor’s degree in the 1960s. In fact, the first personal computer hadn’t been invented yet and wasn’t sold in the United States until 1971, coincidentally the same year Zweben received a joint master’s degree in statistics and computer science. After earning a doctorate degree in computer science from Purdue University, Zweben accepted a faculty position at the Ohio State University. He spent his entire academic career there and became professor emeritus in 2011. During this time, he says he saw multiple waves of heavy interest in the subject matter, and this has been reflected in student enrollment. During two of these enrollment “booms,” Zweben was heavily involved in both research and teaching in the field. The first surge began in the 1980s, thanks to the advent of the personal computer. 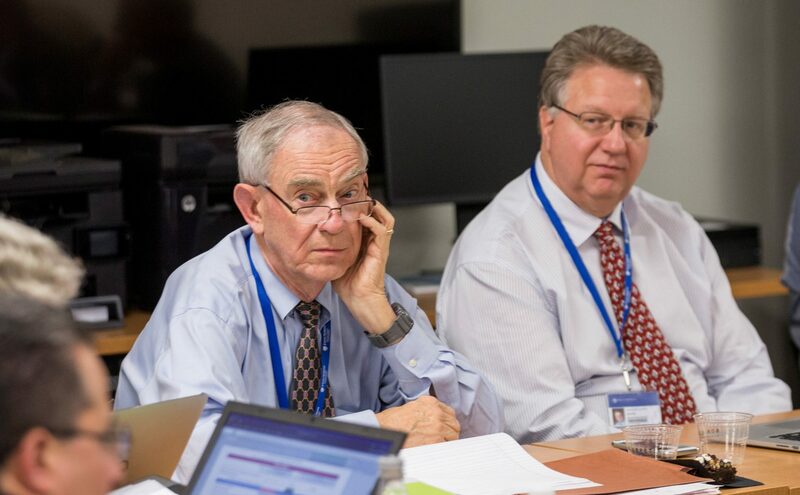 It was during this “boom” that the Association for Computing Machinery (ACM), where Zweben was on the governing council, began contemplating the idea of creating a new accreditation organization that would help ensure high-quality programs. “We worried that parents, students and those unfamiliar with computing would not be able to tell the difference between programs that were of reasonable quality to programs that were calling themselves computer science, but were really not computer science,” Zweben reminisces. Surprisingly, Zweben didn’t vote in favor of the first proposal to create this organization. “When the proposal came forward, I was really concerned that it wasn’t going to be successful because I did not see the interest coming from industry,” he reasons. “I wanted the group to do a better job at getting industry to support this idea before it became a reality, so I voted against the proposal,” he explains, chuckling slightly. However, Zweben was only one of three of the 25 members to vote against the idea. 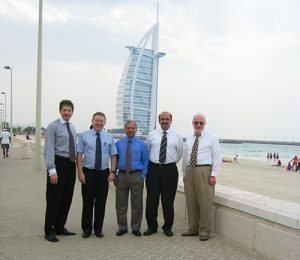 The proposal passed, and the ACM and the IEEE Computer Society jointly created the Computing Sciences Accreditation Board, now known as CSAB. Immediately following the vote, Zweben approached the ACM president and explained that he didn’t vote no because he didn’t see accreditation’s value, and that he hoped to be involved in the accreditation efforts going forward. 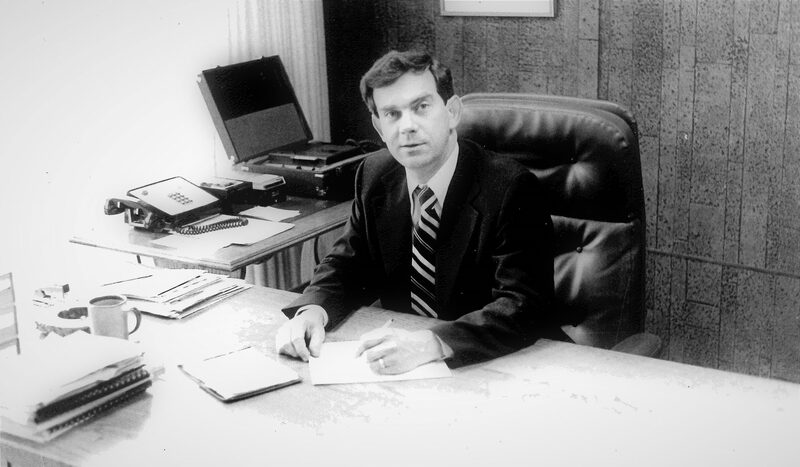 Consequently, he became an alternate for the board of directors of CSAB and eventually served as president from 1989-1991. After CSAB formed, the headquarters was located in the United Engineering Center in New York City, the same building ABET called home at the time. Due to the organizations’ proximity, CSAB’s accreditation operations had many similarities to ABET’s. In the early 2000s, ABET and CSAB merged, and CSAB became an ABET member society for computer science. 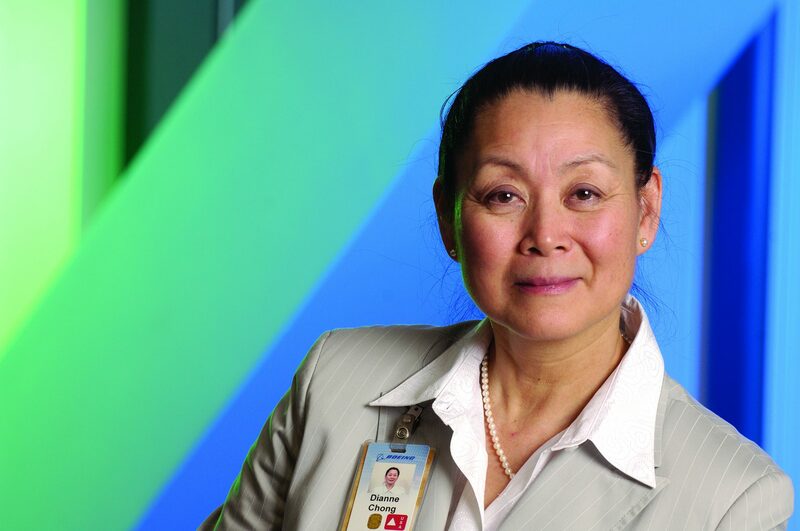 From then on, Zweben continued evaluating programs, but as an ABET Program Evaluator in both computer science and software engineering. He has since held many crucial roles at ABET, including serving as chair of the Accreditation Council from 2009 to 2011, where he made extensive efforts to harmonize criteria across all commissions. 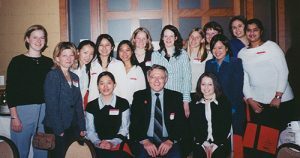 Zweben became an ABET Fellow in 2005 and received our highest honor, The Linton E. Grinter Distinguished Service Award, in 2012. While Zweben was involved in accreditation efforts, he was (and still is) performing research with ACM and the Computing Research Association (CRA). Both organizations run parallel surveys, including the CRA’s Taulbee Survey (which surveys doctoral-granting schools) and a smaller ACM survey (which surveys non-doctoral programs). The data from these surveys creates reports that help academia, industry and media to understand trends in the computing profession, such as demographics, faculty salaries and enrollment rates. Zweben is currently the director of the Taulbee Survey, and he served on the board of directors for many years on the CRA. At ACM, he is on the survey steering committee, and he made important efforts while president to increase ACM’s international presence and make resources more readily available to underdeveloped parts of the world. His work hasn’t gone unnoticed, as the New York Times recently used the Taulbee Survey in their piece, The Disappearing American Grad Student, which explores why less and less American students, especially those studying computer science, are opting to pursue doctoral degrees. In addition to promoting his mission through these organizations, Zweben is committed to increasing the representation of women in computing. “One thing we suffer from in computing is lack of diversity,” he laments. To reverse this, he provided seed money to help fund the first Ohio Celebration of Women in Computing (OCWIC), a regional version of the Anita Borg’s Grace Murray Hopper Conference. Now, he is on OCWIC’s Steering Committee. “It helps you appreciate what women and other underrepresented groups go through every day,” he says, adding that it has been a humbling but rewarding experience. Although Zweben has achieved many accomplishments throughout his career, he says his most rewarding work is seeing his students succeed. “I think that hiring talented people and helping them become successful in their careers is the most satisfying thing that I’ve done. It might not be something that is earth-shaking, but it’s something I am proud of.” In fact, one of his doctoral students at OSU was ABET Expert Allen Parrish, who is currently department chair and professor of cyber science at the United States Naval Academy. 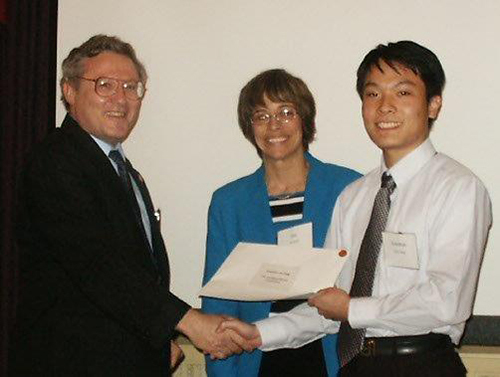 Following the footsteps of his mentor, Parrish, also an ABET Fellow, has held vital roles within ABET and is currently leading efforts to revamp computing accreditation criteria and to develop cybersecurity criteria. For many decades now, the two men have shared a passion and an unwavering commitment to computing and higher education. “Allen and I have a shared interest in ensuring quality in our profession. We worked together on this during his doctoral thesis days, with a focus on the quality of software testing. We continue working on this within ABET, with a focus on the quality of educational programs in computing,” Zweben concludes. Zweben has been in a unique position throughout his career to oversee the development of a profession that changes every year. With issues such as cybersecurity becoming increasingly prevalent, we need his and other ABET Experts’ wisdom and guidance to ensure that academic programs are preparing students to protect and serve society. Zweben has been an ABET Expert since 2000. He served as 2009-2011 chair of the Accreditation Council and was the 2008-2009 chair of the Computing Accreditation Commission (CAC). He is a Fellow of CSAB, ACM and ABET, and he won the ABET Linton E. Grinter Distinguished Service Award in 2012. Currently, he is ABET Secretary, and he serves on the ABET Global Council and the Linton E. Grinter Award Committee. ABET is a forward-thinking, purpose-driven organization recognized by the Council for Higher Education Accreditation. All over the world, ABET accredits college and university technical programs committed to the quality of the education they provide their students. Based in Baltimore, we are a global company, with over 3,800 programs in 31 countries in the areas of applied and natural science, computing, engineering and engineering technology at the associate, bachelor and master degree levels.